"1230 N State Street is located just past the hustle and bustle of Rush Street. The location is appealing as it's in a more residential part of the Gold Coast but offers easy access to the nightlife just a few steps away." 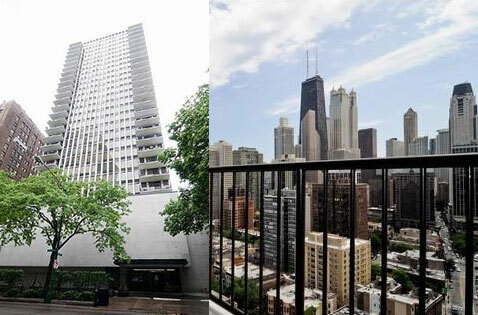 1230 N State , also known as State Tower, was built in 1979 as a luxury condo tower with 92 units. Many of the homes in this building have views of the Lake Michigan. It is well situated in the Gold Coast with easy bus and subway access. State Tower amenities include 24-hour doorman service, gym and a roofdeck. The building also has on-site management. Though 1230 North State is an older building, but many of the units have been renovated over the years by homeowners. 1230 N State is pet friendly and additonal parking is available in the garage..